LotApps Free PDF To Image Converter is a windows softare that quickly converts PDF documents to some popular image format. you can batch convert portable PDFs to png, jpg, bmp, gif, tiff, tga, etc. Convert PDF documents to Image (png, jpg, bmp, gif, tiff, tga, etc.) formats with quality settings, resolutation settings. 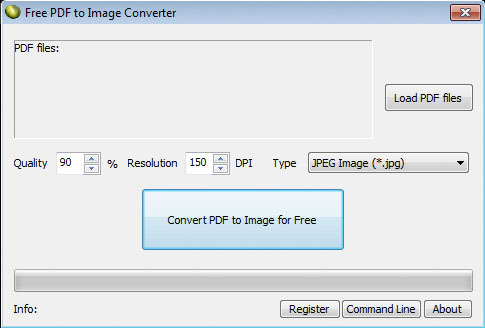 PDF to Image Converter supports Batch Mode that converts a lot of PDF documents into images at one time. Capable to convert password protected PDF files to image formats.